To show that the area of parallelogram is product of its base and height. A parallelogram is a simple quadrilateral with two pairs of parallel sides. The opposite or facing sides of a parallelogram are of equal length. The opposite angles of a parallelogram are of equal measure. Area of the parallelogram = base x height. 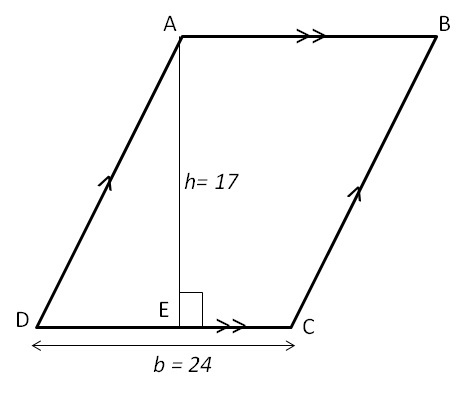 Find the area of parallelogram ABCD with base 24 m and height 17 m.